The Republican National Committee raised $56.8 million in the third quarter of the year, including $26.2 million in September—a record amount for one month in a non-presidential election year—according to new figures provided to POLITICO. The haul brings the RNC’s total to $269.9 million so far this cycle. 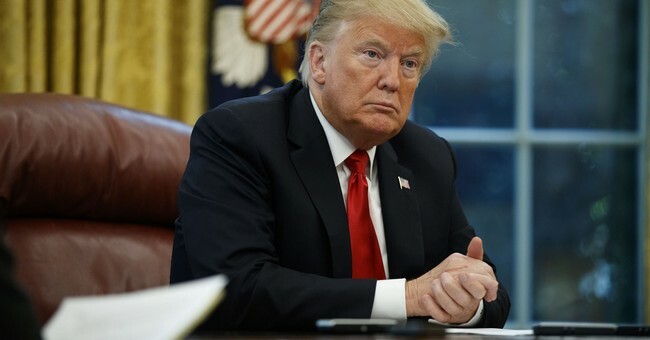 On Monday night, President Donald Trump's 2020 re-election campaign announced that it had raised in excess of $18 million over the past three months, a haul that means the incumbent has already raised $106 million for a race that is more than two years away. That's a stunning -- and totally unprecedented -- amount of money for a sitting president to have collected less than two years into his first term. Look, I get it. Money has become so plentiful in American politics -- every two years cash floods the system through a variety of super PACs and other newfangled entities aimed at skirting campaign finance law -- that there's a tendency, even among political junkies, to get a little glassy-eyed when it comes to talk of unprecedented amounts of money being harvested earlier and earlier in the election cycle. A little bit of math shows that in three less months of fundraising, Trump has raked in more than 26.5 times what Obama had raised for his re-election race and 32 times what Bush had raised. The symbolic reason past presidents have avoided raising money in their first two years is because they have wanted to send a signal to the country that the campaign is over, they are the president of all the people and they are focused on doing the job to which they were elected not worry about getting reelected immediately. It's the whole there's-a-time-for-campaigning-and-a-time-for-governing thing. Trump has never played by the political rules. And his decision to file for re-election on the day he was sworn into office is yet more evidence of just how unorthodox he is. He does what he wants -- and usually what he wants is whatever is most advantageous for him. This is one of those instances; whether you like or hate the fact that Trump has already raised more than $100 million for his 2020 race, you can't argue with the fact that it gives him a massive leg up over his eventual Democratic opponent in the chase for campaign cash. Yeah, he’s not a typical politician. That’s part of his appeal—and while in theory, the president shouldn’t be aggressive in raising tons of money after winning an election to show that the campaign is over and governance is beginning—it’s a different atmosphere now. Democrats weren’t saying people should harass, kick, and bully Bush officials or supporters in public. Antifa wasn’t really a thing. The insanity spewed by progressives wasn’t a thing. The lurch to left-wing mob violence wasn’t an emerging characteristic of Democratic politics. We’re at war. Liberals, the media, Democratic Party officials and members of Congress are all gunning for Trump and the GOP. There’s no grace period. Wartime setting has to be on for the entirety of this presidency, and that means you need to keep the fundraising machines well oiled. The GOP and this White House are going to be in the fight of their lives over the next few years. It’s not a time to play nice.